dragon_seller9 has no other items for sale. 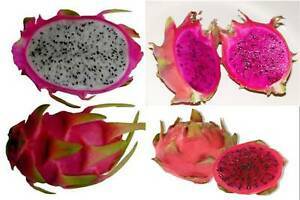 It can take a good year to grow your own Dragon Fruit from seed. 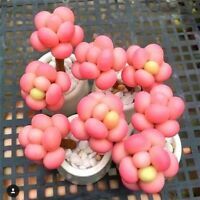 While it is not a sure bet, your chances of getting the cutting to root are better than getting the exact fruit you are expecting from seed. My red and purple ones are looking good. The white one looks a little off, but has remained firm. I am of the opinion it has been set back a little, but is still okay. 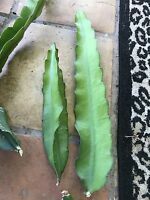 Very healthy cuttings and nice size too! Much larger than any others I have seen in the past. Very easy to root! Mine have already begun to sprout new growth! Arrived on time, well packed, in good shape. They’re planted, just waiting for them wake up and start growing. Cuttings were labeled and in good health.